Self catering holiday rental homes and villas in Italy offer the visitor the ideal chance to enjoy the real Italy. A history and culture lover’s paradise with 1000’s of museums, churches and archeological sites dating back to ancient Roman times. 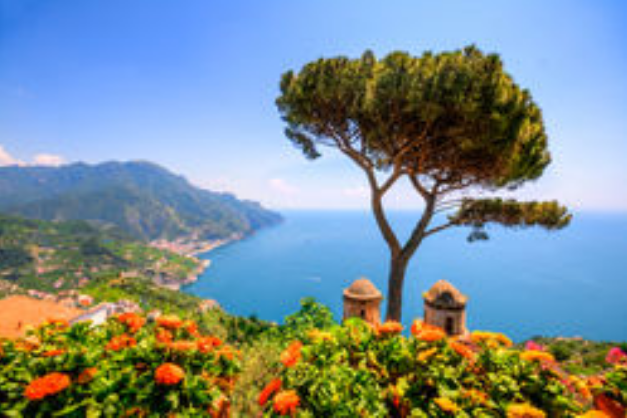 Italy also offers beautiful scenery, rolling hills, lakes, fine food, wine, sunshine and beautiful coastlines. Holiday villa rentals in Rome the capital of Italy offers visitors the chance to enjoy one the most important tourist destinations in the world. The city of Rome offers an abundance of historical, artistic and archaeological treasures such as the ancient Roman Colloseum and surrounding areas with beautiful views, parks, architecture and museums such as Musei Capitolini, the Vatican Museum, Galleria Borghese and many ancient and modern art exhibitions and events that can be enjoyed at your leisure when staying at a holiday rental in Rome. Elegant Venetian buildings, villas and palaces abound over the ancient maze of narrow streets, bridges and labyrinth of canals that make up the unique city of Venice. Tourists naturally flock to Venice to experience the charm, romance and history of Venice. A holiday home or vacation rental in Venice allows you to experience all that this city has to offer at your leisure. The principal Tuscan city of Florence (Firenze) nestles below the wooded foothills of the Apennine hills, along the banks of the Arno River. The city of Florence is famous as birthplace of renaissance art and artists that have contributed to the magnificent art, architecture and life of the city such as the work of Botticelli, Michelangelo, Bruneschelli, Leonardo da Vinci, Boccaccio, Alberti, Masaccio, Donatello, Vasari and Fra Angelico. The city has become an inspiration to countless visitors from around the world and it is also the home to many stylish citizens who have added their own inimitable style and flair to the scenery and cobbled streets and piazzas of Florence. If you are looking for information on holiday homes and villas to rent in Tuscany to explore Florence and surrounding regions then you have come to the right place. Italy is a beautiful country for a luxurious holiday home or villa rental where you can enjoy all the sensory pleasures available from art, architecture, history, culture, fashion, design, fast cars, slow food, mountains, lakes, countryside, beaches, hot Mediterranean sun and vibrant lifestyles, Italy has it all. A holiday rental in Rome, Venice or Florence makes an ideal place to find out what has inspired visitors for centuries. From the Alps and the beautiful lakes in the North through the Tuscan hills down to the smouldering volcano in Sicily Italy is a land that every traveller must visit at least once. There is a wide variety of holiday rental accommodation in Sicily to choose from that will allow you to tour Sicily and discover one of the oldest wine regions in the Europe. A tour to Sicily is incomplete without savouring an appetizing Sicilian drink! It is fairly difficult to put the beauty of Sicily into words. Spending holidays in Sicily gets much is now much better with world class holiday rental accommodation now available. The city of Modica on the southern coast has been named a UNESCO Heritage site together with its surroundings. Modica claims to have Italy’s ideal chocolate having been introduced by the Spanish conquistadors in the 1500’s. On the 23rd of March the city of Vittoria, situated near the southwestern coast presents the Feast of the Foundation, an exhibition of nearby wines. Click here to view further info and discover vacation rental accommodation and villa holidays in Italy.